There are plenty of ways in which we can find ourselves in more debt than we ever intended. If that sounds like you, here are some ways to try to get out of it. First up, let me say that there’s no absolutely right or wrong way to tackle credit card debt. But working through any debt problem logically and with a step-by-step process can certainly help. So here’s a plan. 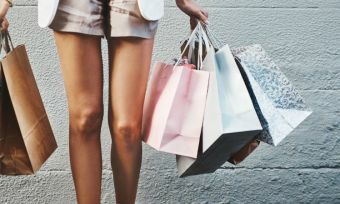 According to the Reserve Bank of New Zealand (RBNZ) there is around $6.6 billion owing on credit cards in any given month, with an average credit card interest rate of 20.2 percent. That’s a lot of potential interest! So for you personally, add up how much you owe on any credit cards and other store cards that you have, and write than number down on a sheet of paper. Seeing it in black and white can be a good wake-up call! While you’re working out how to pay off your credit card debt, stop adding to it! Consider getting a debit card (which has the same benefits of a credit card in terms of bill payment except that you are using your own cash) or using cash or BPay to pay all your expenses in the interim. When your salary hits your bank account, use that money to pay all your necessary costs first. That means paying your mortgage or rent, buying groceries, paying utilities such as electricity and phone and putting petrol in your car. Otherwise it can be easy to spend your cash on more interesting things – and have nothing left over for those bills that you have to pay. Following this strategy will reduce the chance that you will get caught short and have to out things on credit card. Knowing what expenses you need to pay over the course of a year helps to ensure that you have savings put aside for those big occasional costs (such as car registration and insurances). That way, you can try to prevent being caught short. Give Canstar’s budget planning calculator a try. If you have a big credit card debt, chances are you also have a big credit card interest cost. Currently the RBNZ advises that the average credit card interest rate is 20.2 percent, but there are ongoing credit card interest rates as low as 12.69 percent on Canstar’s database. On the other hand, financial institution also often offer balance transfer deals (a lower rate of interest for debt transferred). Just be careful to read the terms and conditions of the offers carefully, and to check for any fees. Step 6: Set up a repayment plan. Whether you switch credit cards or not, set up a regular repayment plan to get your debt paid off in a timely manner. If you have done your written budget, you’ll know how much cash you have left over to put towards your credit card debt each month. Don’t get discouraged: the debt probably took a long time to build up and it may well take a long time to pay off. Every six months or so, as you pay the debt down, compare credit card offers, review your interest rate and see whether there would be a cheaper option available to you. Very importantly, don’t hesitate to ask an independent third party to sit down with you and help you work through all of the above. You can contact the New Zealand Federation of Family Budgeting Services as a good place to start. 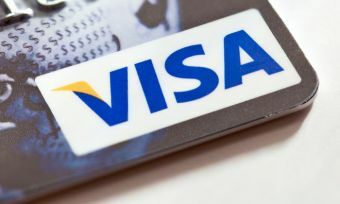 Visa Credit Cards: How does Visa make its money?